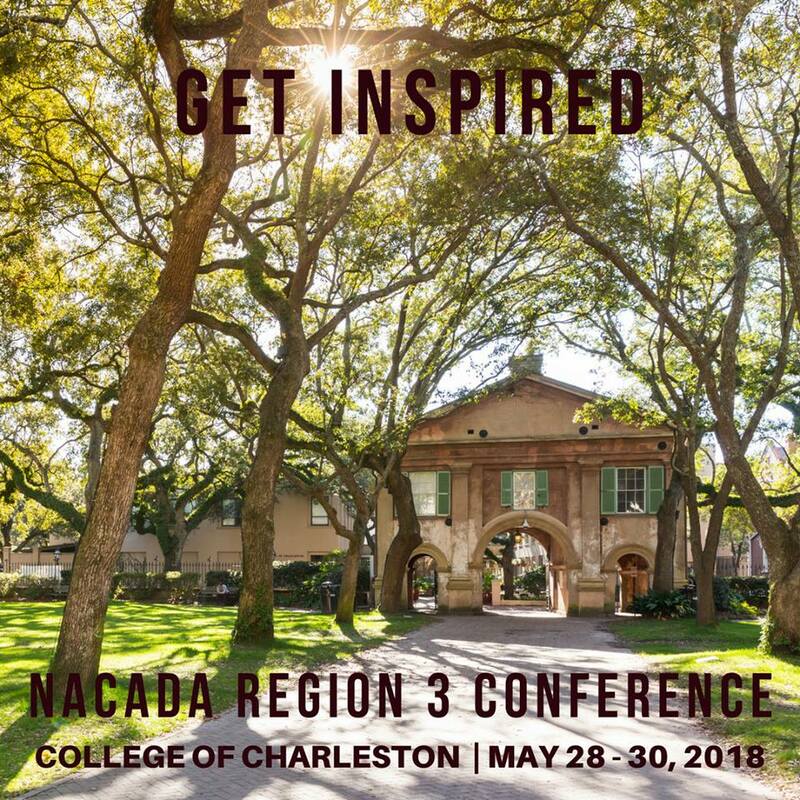 Thank you for joining us in Charleston, SC for the 2018 Region 3 conference on May 28-30. The conference offered two pre-conference sessions, 44 break-out sessions throughout seven concurrent sessions over the two days. We had 343 conference participants representing 16 states and 78 different institutions. We also had three vendors: E2E Advising (Appointment Manager), Marion University and Kansas State University who joined us. This year's conference also hosted WHOVA as our official event app, which was very well received by conference participants. In fact, 650 text messages were sent and received through the app, 74 business cards exchanged, 230 notes taken within the app, and 74 conference photos posted. We had a very active group. The content of the WHOVA app is active for six months after the conference, so conference attendees can still access their notes, handouts, etc. If you do not have access to the app, you can check out the conference program (PDF). The conference kicked off with a welcome from Provost, Dr. Brian McGee to be followed by conference keynote speaker, Dr. Rénard Harris, Associate Vice President & Chief Diversity Officer for the Office of Institutional Diversity at the College of Charleston. If you were unable to attend the conference or just want to revisit his inspiring comments, go here. He is absolutely amazing! Following the keynote, a reception was held in the Lightsey Center, where College of Charleston’s Academic Advising and Planning Center’s office is located, and overflowed to the City Bistro patio just outside of Lightsey Center, where bluegrass band Southern Flavor performed. The conference also hosted a raffle drawing for items and services from the Charleston community in an effort to raise funds for the Swipe Away Hunger campaign. Thanks to the generosity of conference participants, we raised $1077.10 for this campaign, which feeds 10 students for a week at two meals a day. Congratulations to Brandi Loving from Tennessee Technical University for being selected as the 2018 Best of Region 3. Her presentation “I’m off Probation, Now What? : Helping Students Become Comfortable with Success” will be presented again at the 2018 Annual Conference in Phoenix, AZ, September 30-October 3, 2018. A big thank you to the Region 3 members, presenters, volunteers, exhibitors, sponsors and conference committee members who spent countless hours working to make this year’s regional conference a success. Please join us in Charleston, WEST VIRGINIA, March 13-15, 2019 for the next Region 3 Conference. For more information about NACADA: The Global Community for Academic Advising, go to: www.nacada.ksu.edu.